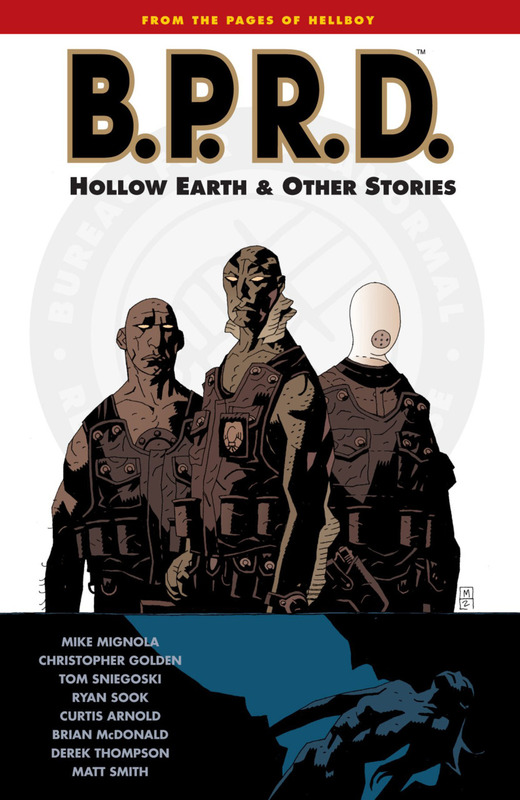 The Bureau for Paranormal Research and Defense had been introduced in Hellboy, but events of Conqueror Worm led to his departure. These were ill-advised methods of control implemented by what is a government funded department, and at the start of this opening volume the Bureau are severely depleted. In fact their more unusual agents number just two, the powerful homunculus Roger and Abe Sapien, a complicated amphibious man with no idea of how his condition occurred. He’s also considering his future with the department. Numbers are topped up slightly by the arrival of Johan, a formerly talented medium whose mental essence is now housed in a containment suit allowing him to speak. It’s believed that without this he would dissipate, but he can also communicate with the dead. ‘The Hollow Earth’ is a method of establishing the Bureau as fit for purpose standing without Hellboy. It establishes the Bureau’s early interaction with the cast members for whom it’s home, and re-introduces a previous departure, the pyrokinetic Liz Sherman. She’s been tracked while away, and when her beacon is lost the trail leads to the centre of the Earth, some odd creatures, some ancient machinery and powerful being. Ryan Sook’s art is excellent, very much in the style used by Mike Mignola on Hellboy, with stark contrasts between light and shade highlighted by the sympathetic colouring of Dave Stewart. 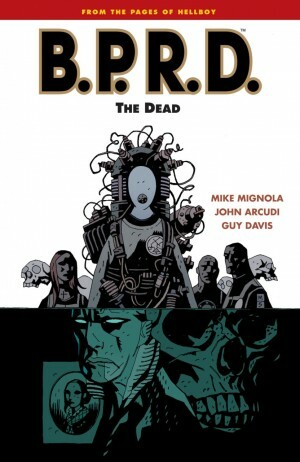 There’s a sense conveyed of something big being introduced, but the writing team of Christopher Golden and Tom Sniegoski, with collaboration from Mignola, deliver a largely tension-free plot despite the bizarre elements. At the conclusion there is a team for further use, and their next appearances are in The Soul of Venice and Other Stories. The remainder of the book is shorter stories featuring individual cast members. 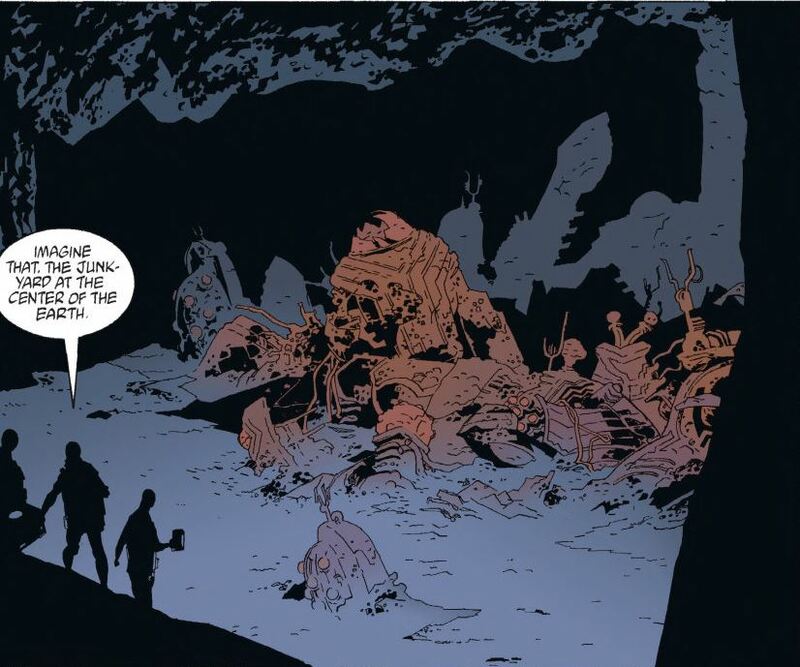 Lobster Johnson is introduced in ‘The Killer in my Skull’, with Mignola filtering the larger than life pulp crimefighters of the 1930s, but also throwing in a paranormal element. It’s a simple story, elegantly drawn, with Johnson’s distinctive orange-tinted goggles a great visual effect. 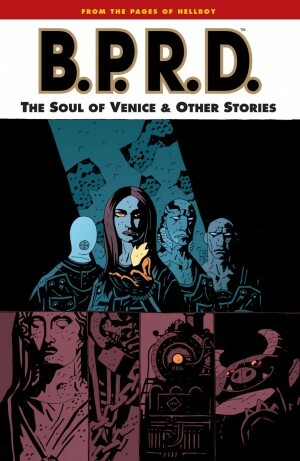 Matt Smith aping Mignola’s style also illustrates ‘Abe Sapien versus Science’, as a little more background material is delivered, reflecting the title. With such a consistent look to the art throughout, Derek Thompson’s utterly different approach on ‘Drums of the Dead’ is jarring. The story has a voodoo theme, with transformations affecting shipping. Brian McDonald’s script has a disturbing core, but there are also slapdash filler scenes and the whole would be better told in fewer pages. 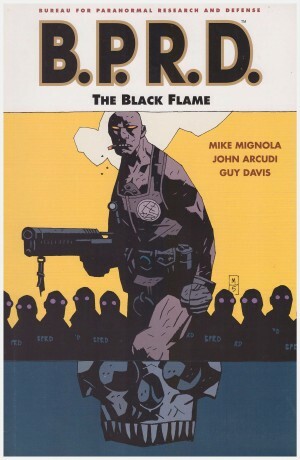 The title story introduces the cast, but overall this isn’t the best introduction to B.P.R.D., which would improve greatly with the addition of John Arcudi to the writing team. 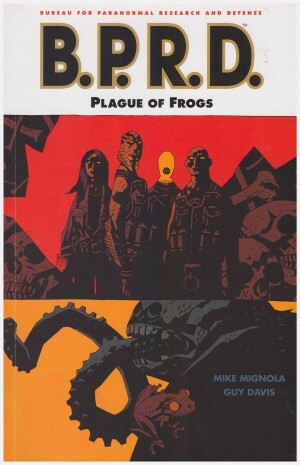 It should be noted that despite his name on the cover, Mignola’s only contributions are written, with the exception of his character designs in the rear of the book, which also presents pages from Sook’s sketchbook prior to starting the art. All content is also available in the more recent hardbound Plague of Frogs volume one, along with succeeding collections The Soul of Venice and the original paperback titled Plague of Frogs.